The District Attorney’s Office and the Texas Rangers are continuing to probe allegations of possible irregularities involving mail-in ballots in the March 2 primary elections. During the middle of last week, KRGV-TV, Channel Five reported that a recount would be taking place in the District Clerk’s race. After ballots were counted, incumbent Eloy R. Garcia, seeking a second term, held an 88-vote lead over challenger Dave “Chachi” Jones. Garcia received 3169 votes, or 50.7 percent, to 3081 votes, or 49.3 percent, for Jones. 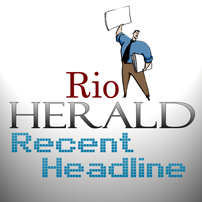 The Rio Grande Herald attempted to contact Silva on Monday, March 15, but was unable to reach him. The Herald also tried to contact Elections Administrator Rafael Montalvo on Monday, but was unable to reach him.